Hi, my name is Melanie and I live east of Brisbane in sunny Queensland, Australia. I’ve been knitting and crocheting on and off for most of my life however in the last two or so years for some reason I can’t seem to do anything but knit, spin or crochet. My favourite hobby of reading has even taken a back seat to my knitting. I learnt how to knit socks in August 2012 and have knitted over 50 pairs now! I also knit lots of scarves and shawls as it is just too hot in Brisbane to knit jumpers or sweaters. We don’t get very cold winters unfortunately! My other passions are reading, cryptic crosswords and playing scrabble and crafting with my friends every week. I love blogging about my yarn projects and my yarn and I love it even more when you leave comments for me. I endeavour to answer each and every one of them. You can also contact me directly through the ‘Contact Me’ page which can be found on the top banner of my blog page. 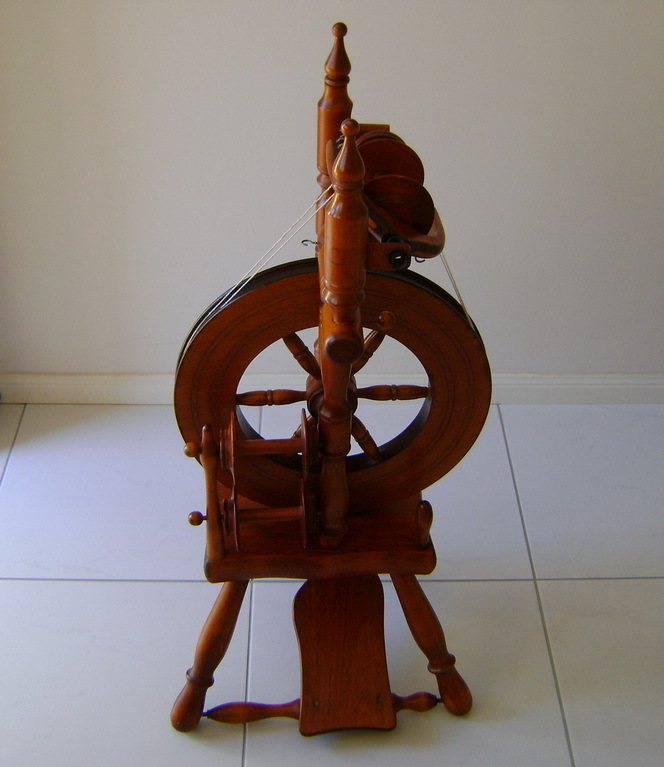 I am a member of the Redlands Spinners & Weavers club which is located in the eastern suburbs of Brisbane. I am their website administrator and the newsletter editor. I have a 30 year old son who lives nearby and I still work full-time. I am now working three days a week. 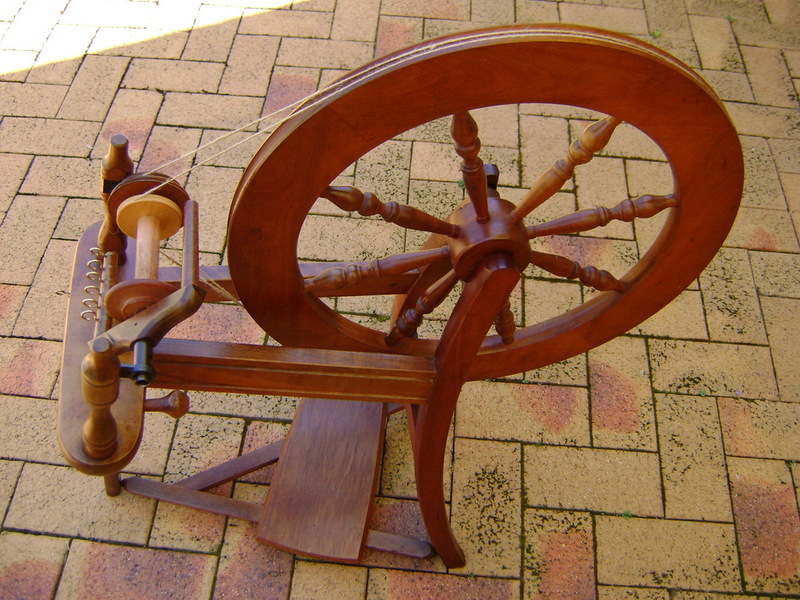 Yay….more time for my fibre crafts! My favourite local holiday haunt is Noosaville and I try to get there for three weeks every year. My other two favourite holiday spots that aren’t too far away are New Zealand and Tasmania. 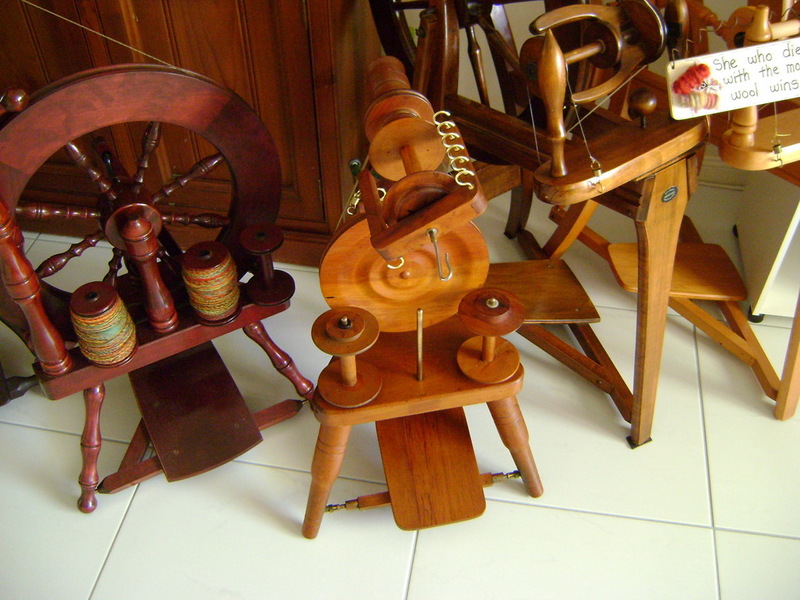 I am also the owner of seven beautiful spinning wheels! I seem to be either buying, selling and being given wheels, so I’ve started a table to record all the activity! The Fomotor Peacock ….she is so cute and tiny! 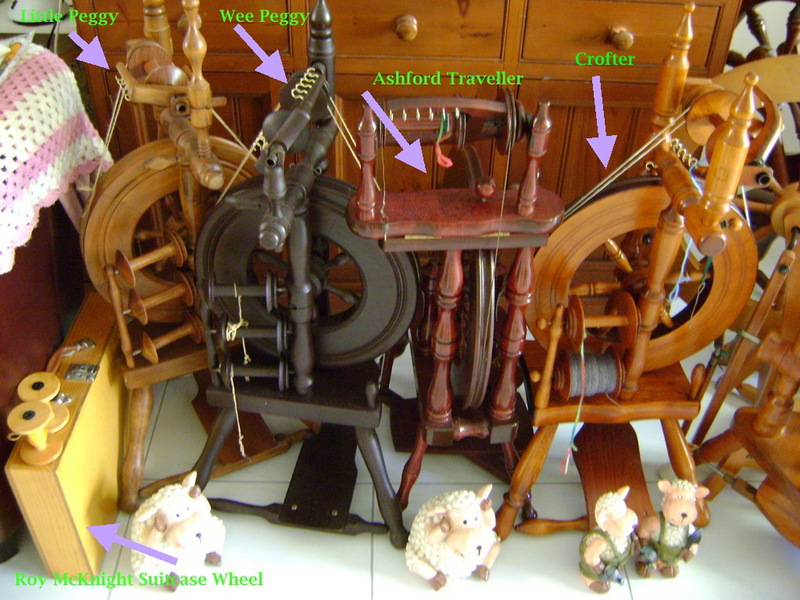 I have also recently acquired a double drive Ashford Traditional, a little upright which I am still trying to identify, a new Ashford electronic spinner, an Ashford Scholar, a Sickinger Kitty, a Genesis Arnon, another Ashford Traveller, a Sleeping Beauty Thumbelina and a George H. Young wheel. Photos soon! Your scrabble friends will help you with your obsessions Melanie, you know we love you and want you to be happy. Only kidding it is great that you take the time to do everything you love to do. Keep up the good work and maybe someday you will make that leg warmer for Ivanka. Well. Well Well. Haven’t you been a busy little knitter!!! Nice job on this blog page – you are so clever!! You don’t muck around do you, talk about a concept during the day then put it into practice that night. Great job with the photo’s, I have taken your advice and downloaded photoscape also will let you know how I go. I found it really easy to use and was so excited as it’s exactly what I was after. Might have a dabble now. Hi Sarah, I have replied to you via your email address. Thanks so much for contacting me! 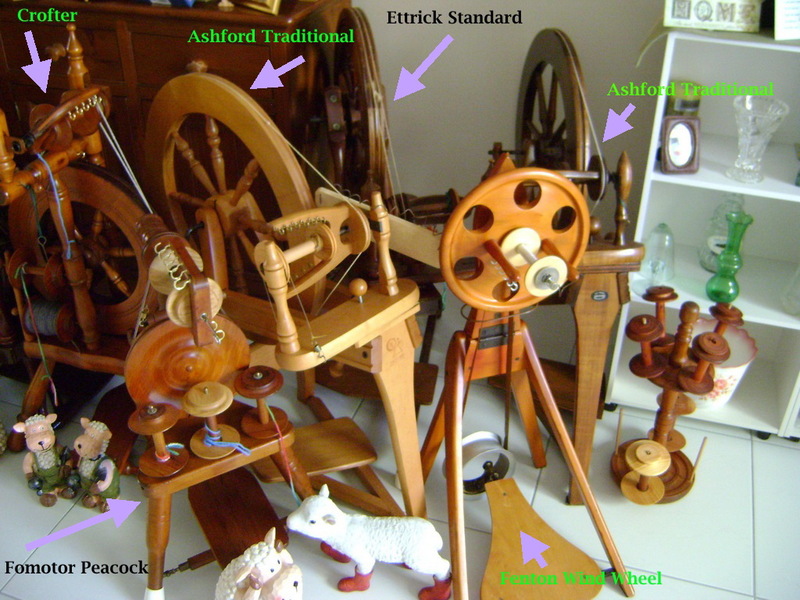 Gosh I wish I owned all those spinning beauties!! 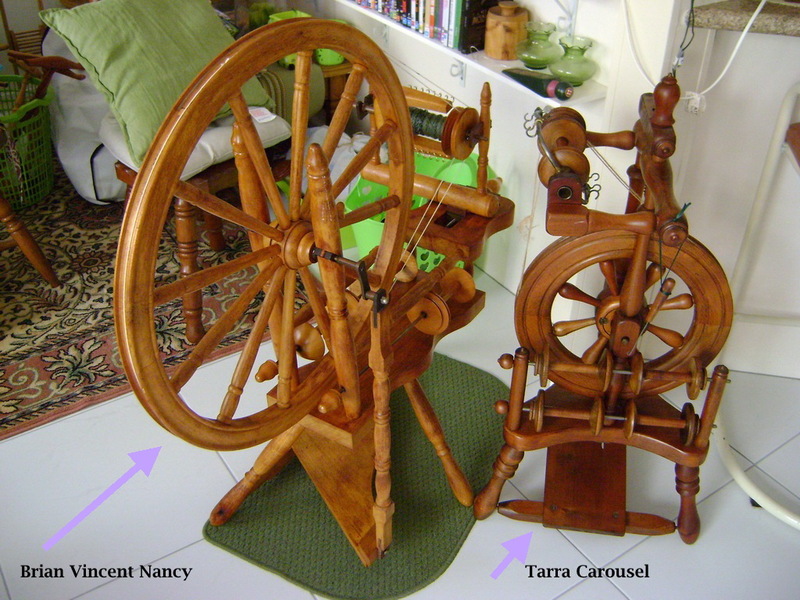 I will buy my first one soon and hope to spin and knit to my harts content soon. 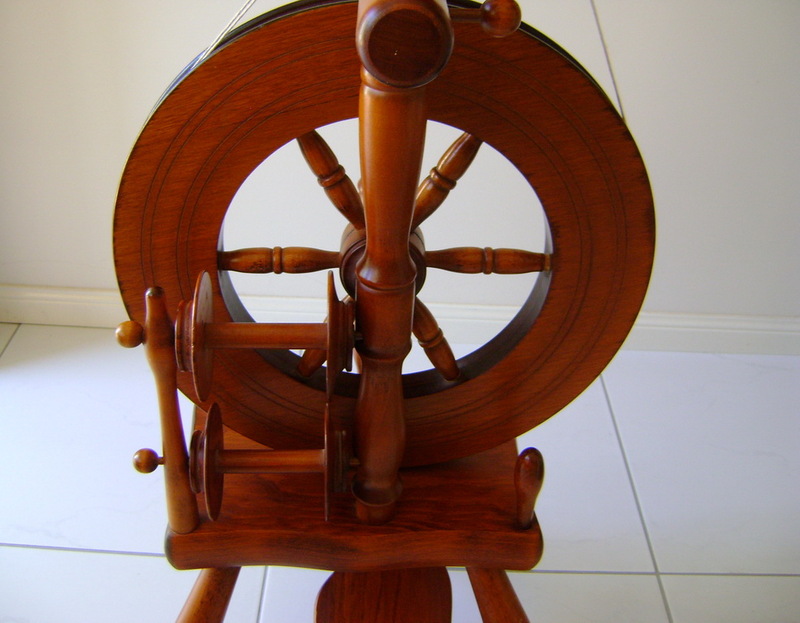 Beautiful work and mostly wonderful spinning machines. Thank you for sharing your art. Hi Mel. Just found your site and I think it is very refreshing. You have an energy that leaps out of the computer! I like that you are so obsessed with yarn pursuits as it makes me feel better about my obsession. I have shown your site to my partner because he thinks there is something wrong with me as all I want to do these days is create. Hi Robyn, thank you so much for contacting me! I am so happy you like my blog. I do try to make it as interesting as possible and include lots of links to interesting sites. 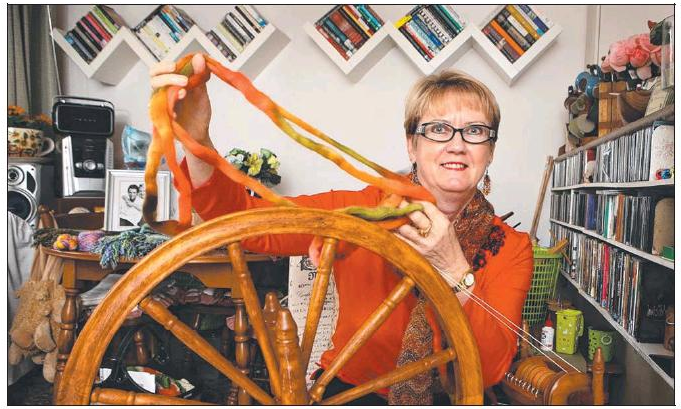 There are lots of us out there: obsessed fibre fanatics! My non-fibre friends also think there’s something wrong with me 🙂 We must stick together! That is not true Mel some of us are just obsessed over different things, such as scrapbooking. I think it is the sheep obsession they worry about.